Qatar Mile Round 3 season finale is happening on the 31st March and 1st April 2017 at Al Khor Airfield. We take a look at the standing speed records set from season 2015/16 to 2016/17. Season 2016/17 has been a fast one here at Qatar Mile with 13 new speed records set. This Season (2017) alone,8 records were set at Qatar Mile; 5 of the records were set at Round 1 and the other 4 set at round 2. Four records of which are world’s record top speed as at March 2017 in their respective classes. 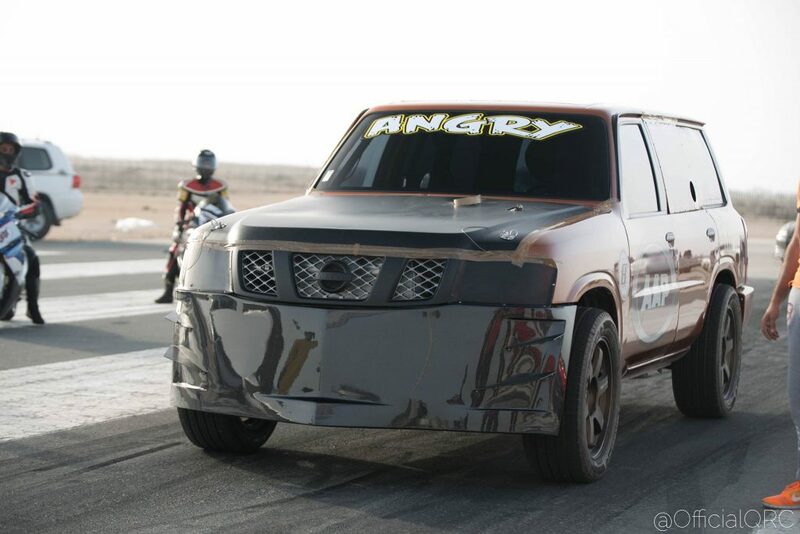 Mohammad Al Baker 2 Cylinder Unlimited (GTR) reached 399.64km/h to be the standing half mile car in the world. Ali Kafoud in 6 Cylinder Modified set record for the class at 380.06km/h in GTR. Sheikh Abdula Al Thani Porsche reached 374km/h, SUV Modified reached 333.82km/h steered by Mahana Al Naimi and Toyota Supra reached 346km/h steered by Abo Khaled from Kuwait. 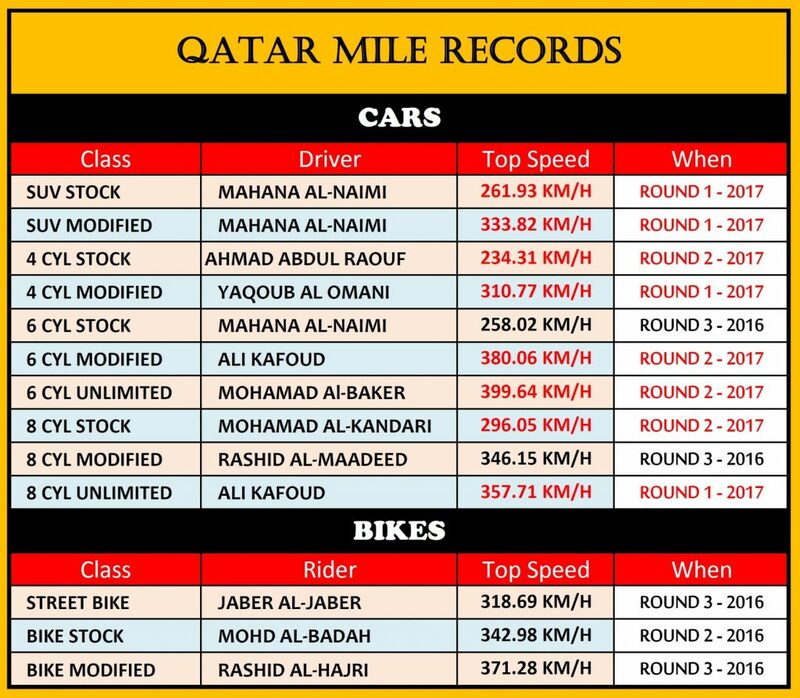 In the Bikes category, the fastest speed ever achieved in ½ mile in the history of Qatar Mile was set in 2016 and is still held by Rashid Al Hajri at 371.28km/h in 2017. Qatar Mile is speed festival event organized by Qatar Racing Club under the patronage of H.E Sheikh Khalid Bin Hamad Al Thani. It has grown from regional level and continues to attract huge audiences locally and abroad. Round 3 will be the last round of Qatar Mile this season as teams look forward to better their record speed.